Prison inmate’s sentences are currently up for debate in the Maryland legislature, but it’s the inmates who have been doing the talking. A bill before the Maryland State Senate calls for an automatic reduction in the amount of good-time credits a sentenced inmate typically receives by the Maryland Division of Corrections if that inmate is caught possessing a cell phone while incarcerated. The bill was presented to the Legislature by Senator Shank, a republican from Washington county. Those if favor of the bill argue that an inmate who gets his hands on a cell phone places the corrections officers and other inmates at risk, as well as the outside community. Inmates have the ability to organize potentially dangerous actions within the prison walls in addition to being able to conduct criminal activity, such as drug trafficking or witness intimidation beyond the prison walls. 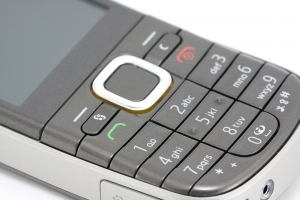 Under Maryland law, cell phones are telecommunication devices that are considered contraband. Contraband such as cell phones, radios, or any other devices that transmit communications are prohibited in places of confinement. Possession of contraband in a place of confinement is a misdemeanor that is punishable by up to 3 years imprisonment, and a $1000 fine. The bill currently up for debate would not change or take the place of this misdemeanor, but rather would serve as additional punishment by affecting the sentence an inmate is already serving on an unrelated crime. Inmates possessing cell phones is not a rarity for the Division of Corrections to deal with, as nearly 350 violations of this ban were reported in the last year. These violations are often handled from within the prison walls without involving state prosecutors. Of the 350 inmates caught with banned devices just seven were prosecuted and received an average of roughly 11 months incarceration. Inmates can procure cell phones and other communication devices through a number of channels, including the prison guards themselves. Good-time credits, or gain time is one of the strongest incentives for an inmate to behave while incarcerated. It is also the perhaps the best tool for the corrections officers and staff to control the inmate population. Inmates in Maryland are eligible to receive 10 days per month of gain time, or 5 days for month if they are serving a sentence for a violent crime or a crime involving drug distribution. Additional good-time credits which are officially called diminution credits may also be earned for education, work tasks, good conduct, and special projects. Inmates who violate jail or prison rules, as well as commit new law crimes may lose the standard 5 or 10 days per month of gain time, as well as have their diminution credits revoked. Other privileges that may be restricted or taken away by the division of corrections for rules violations include segregation of the inmate, and loss of visitation. Proponents of the bill have suggested that large visible signs warning of the possibility for loss of gain time for possession of cell phones should be posted throughout the prison walls. Additionally it was suggested that a greater effort should be focused on preventing corrections officers from helping the inmates acquire cell phones, as well as stepping up awareness of other means in which cell phones may enter the prison population. Arguments in opposition of the bill include the prospect of an increased financial burden on the state and the division of corrections for housing the inmates who would lose their good-time credits under the new bill. One rough estimate stated that the bill would cost nearly $200,000 per year in increased housing expenditures. Maryland laws on contraband in places of confinement can be found in section 9-410 to 9-418 of the Maryland criminal law code. The code provides a much stiffer penalty for possession of contraband that may be used to effect an escape and for possession of a weapon in a confinement facility. Both are felonies that carry a maximum of 10 years imprisonment. The Maryland laws on contraband in places of confinement can be found using the following link: CRIMES AGAINST PUBLIC ADMINISTRATION. Benjamin Herbst is a Maryland criminal lawyer, with offices in Baltimore City and throughout Maryland. Contact The Herbst Firm at 410-207-2598 for a free consultation. Inmates would lose good-time credits if caught with cellphones , herald-mail.com, February 23, 2012.